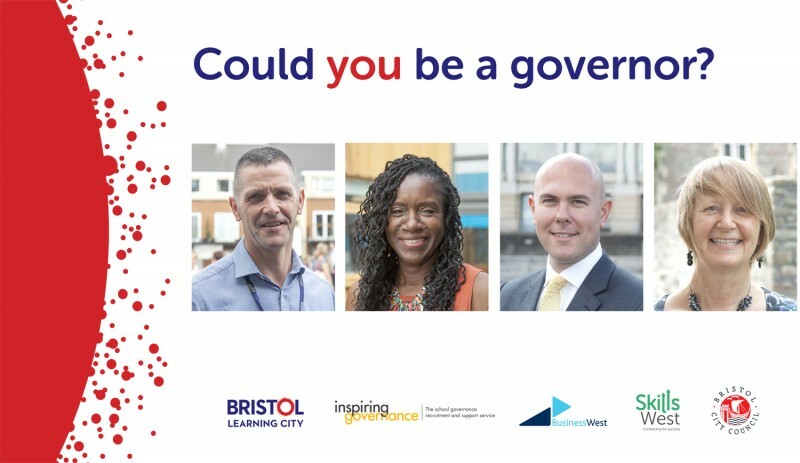 Bristol Learning City, a partnership of over 70 local organisations, has launched a new campaign alongside Business West and the free, online Inspiring Governance service to recruit more school governors. Local businesses and employees are being especially encouraged to consider the benefits of volunteering as a way to give back to local communities and support the city’s schools. The ‘Be a Governor’ campaign will highlight what new recruits are set to gain – including the opportunity to learn new skills, build networks and, if employed, boost their company’s reputation in the community. There are currently over 200 governor vacancies across local-authority maintained schools and many local academies are also looking for new governors. Business West will support the campaign by promoting the opportunities to businesses through their Skills West programme, including their members. Anyone over 18 can apply to be a governor and schools are particularly looking for people with a love of learning and an interest in education. Individuals with professional skills such as finance, accountancy, law, and communications are particularly required. The main role of school governors is to work with the headteacher to set the vision and goals for the school. Governors also oversee the school’s budget and help to recruit staff, whilst also advising on policies and procedures and monitor the school’s performance. Committing to being a governor involves taking part in regular meetings, usually six times per year and usually in the evening, and occasionally sitting on panels to handle staff appointments, pupil discipline or complaint issues. It’s also important that governors are able to spend some time getting to know the school and benefitting from the free training available. Local businesses are being contacted about the campaign from today (6 December) and people can register their interest here: www.bristol.gov.uk/BeAGovernor or get in touch directly with skillswest@businesswest.co.uk to find out more.